Lucy du Sautoy paints undefined everyday views through rainy or misty windows as if they are being stared at while daydreaming or distracted. She explores that moment when you don’t feel any emotion, that almost meditative, in-between state that sometimes occurs during moments of routine or boredom, when the mind wanders and you can become focused on tiny details on the glass. Lucy aims to give her paintings a universal quality so they trigger recognition in her viewers, creating a personal space for their hazy reminiscences, generating their daydreams. For Lucy, hearing someone say “that reminds me of” when looking at her work is a sign of its success. In her paintings, Lucy seeks to bridge the gap between the outer world (portrayed through two planes – the view itself and the detail we focus on) and our inner world (the plane where we put ourselves). 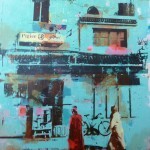 The painted ‘blurriness’ serves as a link, hovering between the two. 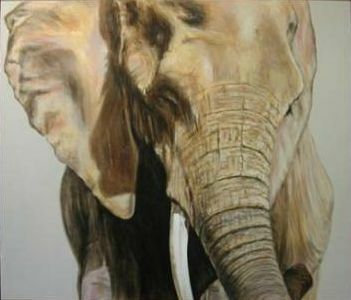 Claire Sandars began painting wildlife when she was living in South Africa just over a decade ago. 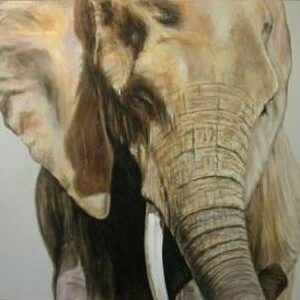 All the animals Claire paints she has seen in the flesh and studied at close quarters, whether in Africa or in the UK. She tends to paint big, short-haired beasts as she is inspired by the smoothness and sheen of their coat and by their muscle structure. She works either from photographs she has taken from the back of a Land Rover on safari or from sketches she has made in the wild. Claire returns to Africa when she can to maintain links with her subject matter. “I need recent contact to keep me motivated,” she explains. In the meantime she paints animals that are closer to home. Claire lives in the heart of the countryside in Wiltshire, surrounded by horses and deer. 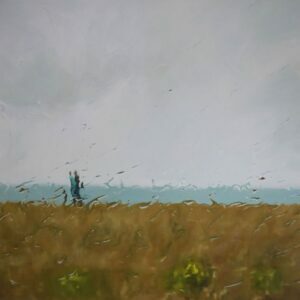 When Dan Parry-Jones started painting professionally in 2008 he was drawn to depicting the north Cornish coastline, an area he knew well from holidays. Seascapes remain a recurring theme, although his work is inspired by a variety of places. 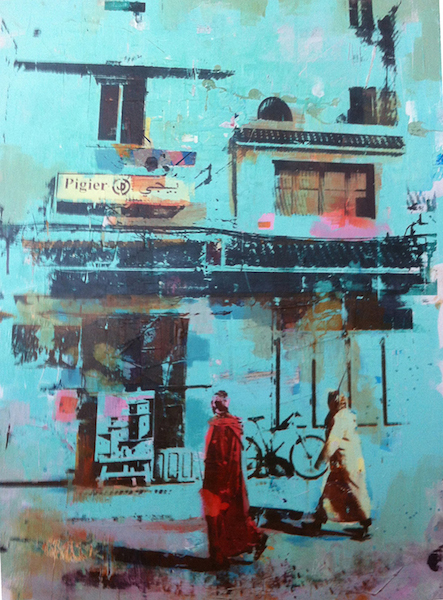 Recent trips to beautiful Italian and Moroccan cities have provided the basis for many of his paintings, but he also finds beauty in the mundane and is just as likely to photograph a row of dirty, battered garage doors or broken windows in his home town of Bristol and incorporate those images into his compositions through the medium of screen-printing. For Dan, the most exhilarating and challenging part of being an artist is having an idea and seeing it develop and change. He is as much excited by the physical practice of painting as by the end result. Kate Milsom is a history addict. Since she was a girl, she has loved scrutinising the Tudor and Stuart portraits in London’s National Portrait Gallery, admiring their intricate lace and patterned fabrics and imagining the sitter’s story. Intricacy and story-telling are key to Kate’s own paintings, which are a beautiful blend of collage and oil paint, the boundaries between which aren’t always visible. Each work depicts one or more historical characters surrounded by animals and birds in opulent, elaborately patterned settings consisting of tranquil landscapes, lush vegetation, period architecture, internal organs and maps.